Announcing Heartbeats: Voices Against Oppression. We’ve been working furiously to meet our targets on this anthology, which is why we haven’t been talking about it in public as much, but I have just finished the last major edit of the book, and, as soon as a few minor bits of information get back to me, will be sending it to Kristen Duval at Fey Publishing so that she can start the process on that side of things. 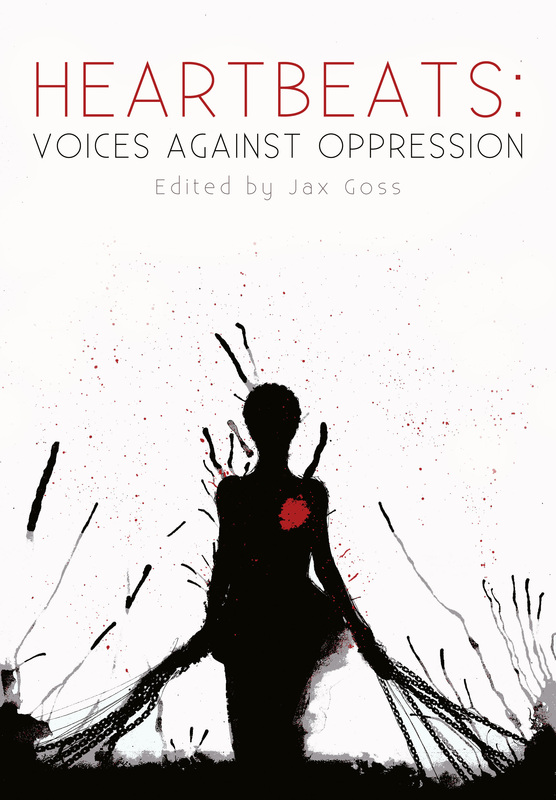 For those who haven’t been paying attention, Heartbeats: Voices of Oppression was created as a collaboration between M. Kate Allen, Jax Goss of Solarwyrm Press, and Kristen Duval of Fey Publishing. We wanted to create something that would speak powerfully for the many thousands of men, women and children worldwide who live enslaved and oppressed, while simultaneously raising funds for those who fight trafficking and slavery. Every person who worked on this project, including all the writers, the editor, our amazing cover artist, Luke Spooner, and the publisher, is doing it for free, so that absolutely all the profits made from the book can go to notforsalecampaign.org, and the excellent work they do. The stories in the book are stories of oppression and liberation, of empowerment and the stripping away of power, of enslavement and escape. Many are hard to read, many will break your hearts or make them soar, all are united in the idea that the use and abuse of humans must stop. Rest assured we’ll be keeping you posted about the progress on this project, and as soon as the book becomes available for purchase, we’ll let you know. In the meantime, look at that cover a bit more. Because man, it is amazingly powerful.